Kz750 swing arm stretch | 2 - Chin on the Tank – Motorcycle stuff in Philadelphia. First step in modifying… Take a good part and render it useless. 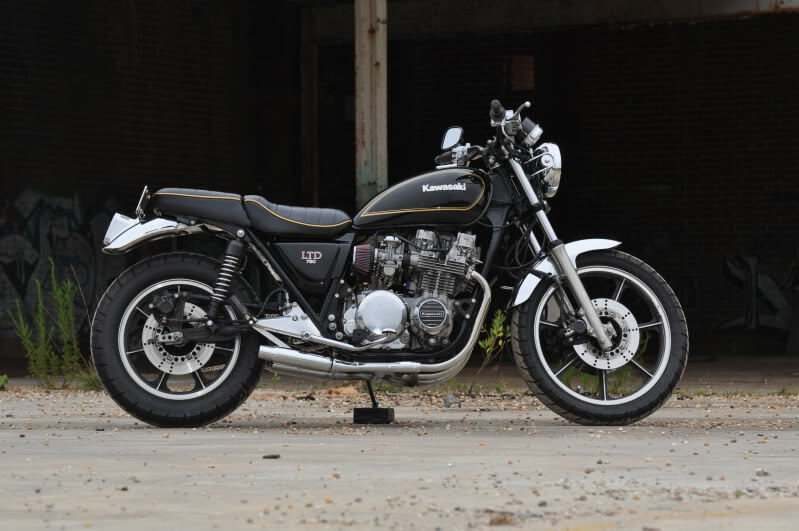 I’ve also found that one of my favorite bikes is based off a 77 or 78 CB750F that has a wheelbase of 58.9″. My modifications should give it a comparable look with the rear wheel placement. ****EDIT the wrenchmonkee bike description says it has a Kawasaki Z1000J swing arm. So everything I just said is not correct about wheel placement. Click HERE to check out more about this Wrenchmonkee bike. Also a picture of when I got the KZ. See how short the rear end looks? Here’s an example of a 3″ stretch. Look at how they welded in plate into the existing dropout to get the extra length. Looks like it might actually be a little more than 3″ depending how they measured it but its more than I wanted so 2″ should be good. Adam..if you wanna do the front end down a bit you can reference this write up… It’s the right way to lower the front and get that stance if needed…that WM bike looks like 2″ drop in the front….I did this process with my triumph progressive upgrade…. Often I might search forums to see if anyone has done a swing arm swap. I know for sure that a GS1100 swing arm will fit on a KZ650. 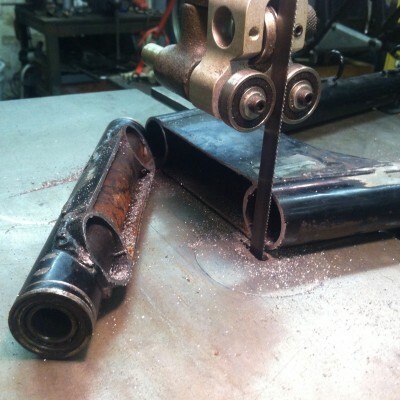 Some additional steps are needed like swapping bearings. 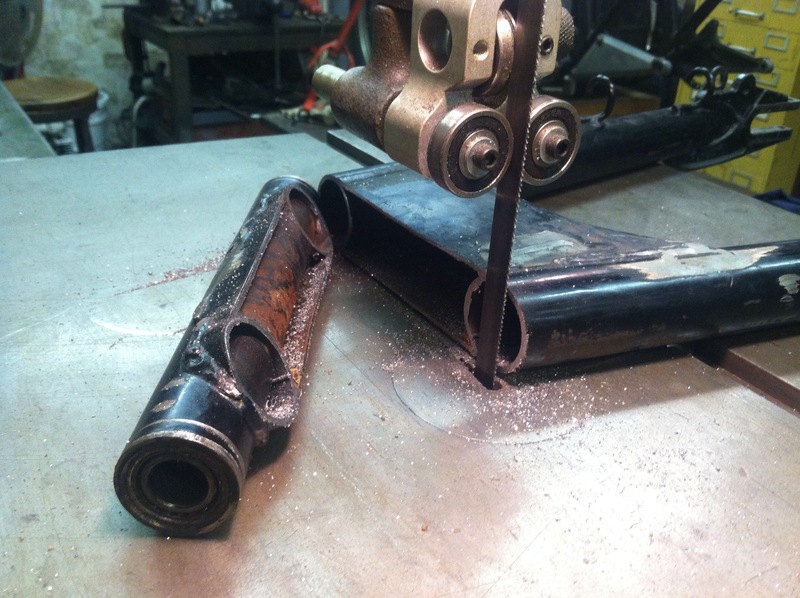 The GS swing arm is more sturdy than the tubular 70’s swing arms and might give you the added length needed. Chris you love the front end drops! haha. Yea, I’m going to see about maybe lowering the front an inch but after I get the rear end back on and see how things sit. Yes Ted, I’m familiar with the internet. I’ve searched the standard forums for swing arm swaps but didn’t find exactly what I was looking to do or reliable specs. The majority of what I found were people saying what are direct swaps (and most likely need major modifications in my opinion) but are only just repeating what they read from some other guy who also probably hasn’t actually done the swap. I also don’t want a Suzuki part on my KZ. That’s against my religion. I’m smelling a friendly race between Adam and Ted. That is an interesting challenge that I can get behind. 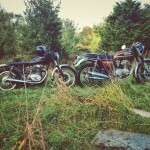 Is this KZ750 2-cylinders or 4? I believe both versions exist. Am I wrong? Sounds good to me. 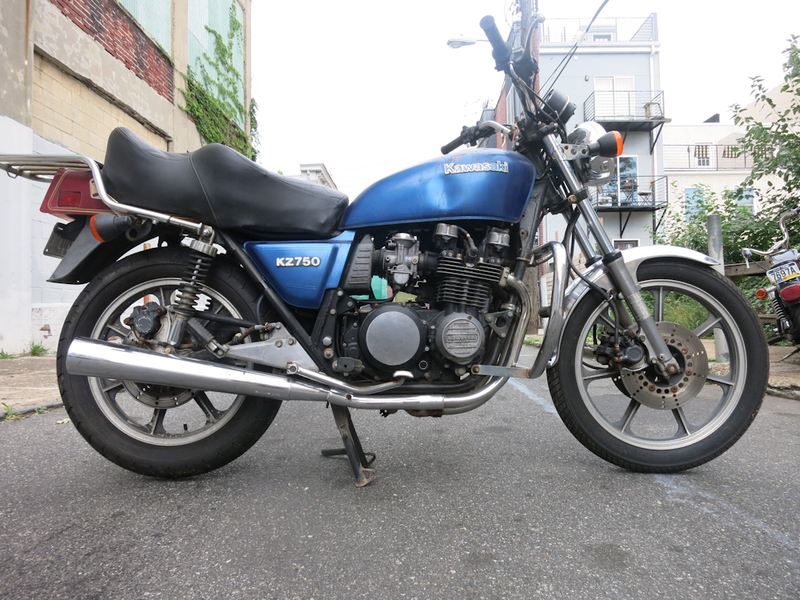 I have the KZ750 four. Want to make a post about your KZ? It’s cool that it was already a built motor when you got it. Yea man, we’ve talked about your KZ a bunch of times. I’d like to see it. Make a post on the site. From what I remember you have some cool performance parts on the motor right? So where is this kz650 motor build? I have a few kz builds myself from 400s to 750s and currently an 810. Off topic I also saw you were moving to portland? Or did so? Hi Colin, you’re build is impressive. Lets see a write-up on your KZ too. Move to Philly and be apart of this epic KZ race! I prefer the dual shock look so I’m going to stick with that. I’ll take a stab at it. I have a build thread on another website but I could summarize my current project with details. 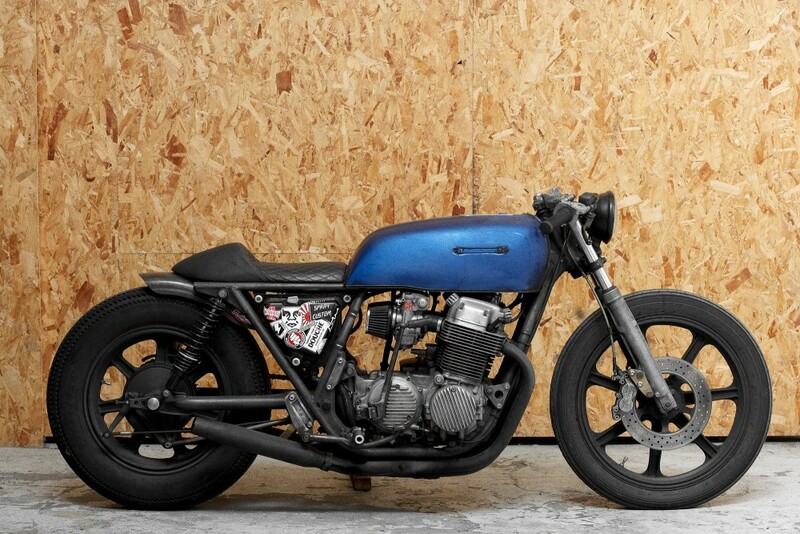 The Yamaha XS500 might be a good one as well since there was a lot of aesthetics work done with that. @Adam I kind of wish I could. But I’m locked in out here for a while. … Summer KZ trip for you guys to Montana??? ?